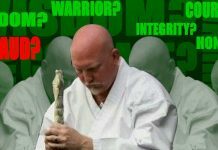 Continuing my attempt to help instructors rethink their priorities when teaching the martial arts, I share the following insights. 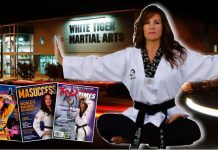 We know that the primary aim of martial arts is to develop physically, mentally, and spiritually. These aspects of the arts must be taught in sequences, and over a very long period of time. 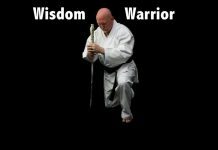 In this segment I want to focus my insight on only the physical aspect of the martial arts. I hope, in the future, to give my insight into the mental, and eventually the spiritual aspects of the martial arts. Often times I observed students in a dojo or dojang sparring. In many instances they would execute what I call the “camera move”, they attack with a single move, holding the attacking pose hoping someone is taking a photo of their scoring technique (in competition) or of them taking out their opponent (during self-defense). At tournaments, I would wait to hear their instructor, or coach, instruct them on the importance of utilizing multiple techniques in their attacks, and to attack aggressively, but I would seldom hear those instructions given. I would be remiss, if I did not say that, even though I have participated in numerous points sparring competition, I am really not a great fan of point sparring. Mainly because in many instances I see individuals scoring a point when in the most unbalanced state. Losing their balance and falling into their opponents and merely making contact, sometimes without even executing a true martial arts technique, and yet, they are awarded a point. The last time I actually competed was in 2012 in San Diego, California at the Tri-State Classics. I competed in the masters’ division, and am not ashamed to say that Professor Pete Salas, destroyed me and won first place, I won second. I had just turned sixty-five years young, and was not in the best shape of my life, nor was I as strong and fast as I was twenty years ago. Not that I am using that as an excuse. Professor Pete Salas (Sweet Pete), is one of the best, if not the foremost pound for pound fighter in the masters’ division in his weight class, and he is rated among the top ten best point fighters in the United States. 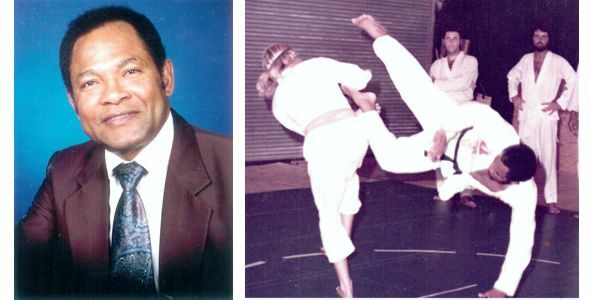 Professor Pete Salas is an excellent instructor, and a martial artist I regard very highly, and respect, because his martial arts ability and prowess are beyond question, furthermore, his character, and integrity are beyond reproach. The ability to use your opponents’ momentum against them is essential to becoming a skilled unarmed combat fighter. However, for one to acquire that skill, one has to be trained in the dynamics of body movements, and transitioning. An experienced fighter has the ability to anticipate the movements and direction of his or her opponent, a skill that is acquired by manipulating their own body movements and direction. This vital skill is not taught by many instructors, either because they were never taught the skill, or perhaps they are concerned about other areas, and neglect to focus on this very important aspect of the arts. Regarding target acquisition and distance, if you understand the words, you will also comprehend the concept. In unarmed combat, a skilled fighter must be able to recognize and acquire the target of attack. In recognizing the target area, one must then recognize the distance from the weapon (be it the arm, leg, fingers’ elbow, etc. ), to the intended target (the area on the opponent’s body that will be struck). This skill must be taught to the students slowly and using varied sequences. Without these skills a fighter is merely striking out randomly, hoping to connect with a target, but when they do connect, the attack is often weak and lacking in precision and power. 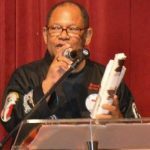 Lastly, all these martial-arts skills and techniques must be taught slowly and accurately before a student should be permitted to increase their speed in training. All martial arts techniques have the potential to hurt, cripple, maim, and even kill, when done at an accelerated speed without proper timing, accuracy and control. In my next post, we will discuss the mental aspect of martial arts, and its importance in developing individuals into students of the arts, and not merely someone who practices the arts. I thank you for your time, and attention.